MEPRO STING is a state-of-the-art dual wavelength laser pointer designed to support various tactical scenarios including close quarters battle (CQB) and covert night operations. The pointer emits a visible or IR laser beam, projecting an aiming dot on the target. The MEPRO STING provides shooting capabilities without the need to look through the rifle’s sight: enabling rapid and instinctive target engagement. 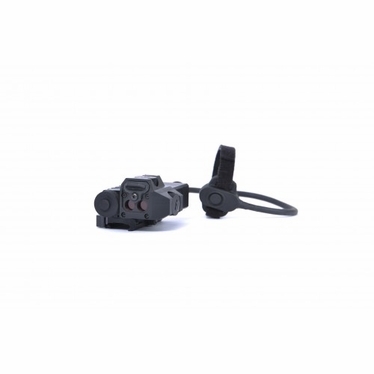 Switching between visible and IR modes is easily controlled by the shooter. The two beams are fully controlled by the shooter. The MEPRO STING is uniquely equipped with picatinny adaptor which can be easily used on right or left side of the weapon, per user’s need. MEPRO STING is the reliable choice: Designed and fabricated to the highest military standards to assure years of reliable operation under all field conditions.